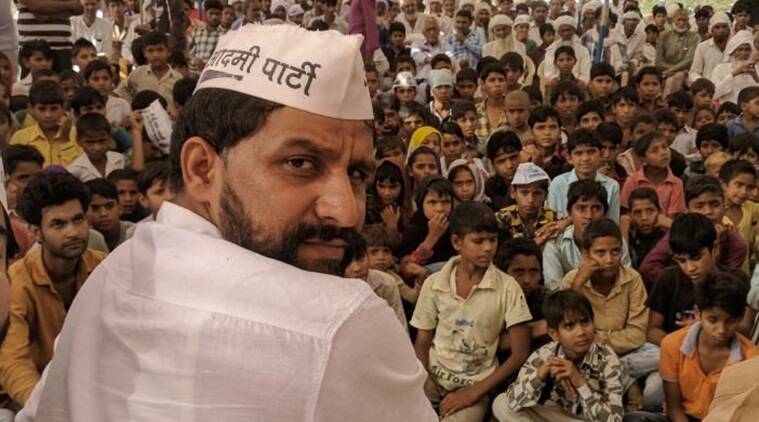 “Pandit Naveen Jaihind will be the aspirant for the chief minister’s post from AAP, and we will fight elections under his leadership,” said state media in-charge of AAP, Sudhir Yadav. Aam Aadmi Party’s Haryana chief Naveen Jaihind will be the party’s chief ministerial candidate in the state elections, scheduled to take place next year. The announcement was made by the state media in-charge of AAP, Sudhir Yadav, at a press conference in Gurgaon Tuesday. “Pandit Naveen Jaihind will be the aspirant for the chief minister’s post from AAP, and we will fight elections under his leadership,” said Yadav. “No other party has a candidate who is as young or well educated as him,” he added. Yadav blamed previous governments for “ruining” Gurgaon and turning it into a city that, “…is not even ranked among the top 100 when it comes to cleanliness”.